Anyone know what PAL pays for a 4000hr King Air captain? seems like those requirements are 2003ish? I believe their hour requirements are based on the contract and the fact you’re flying with Canadian Fisheries officers on board, often at less than 100 feet doing surveillance. 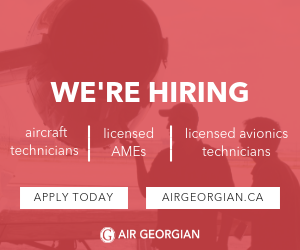 Adding YYT weather to that, their requirements could probably be even higher. but what do they pay for that experience? So They obviously pay well. cause if a company is garbahe, It'll have 10 people talking about how bad it is. Not necessarily. Being an East Coast company, their pilots probably spend more time at the pub singing and dancing to live music while newcomers kiss the cod and get screeched-in than they do surfing Avcanada's Employment forums. I know a few ex-PAL drivers from a few years back, and the wages were liveable if you called Newfoundland or Nova Scotia home. Not so much if you lived in YUL or YQQ. But like everywhere these days, experienced drivers are getting harder to find, and guys are refusing to work for cod and screech rations, as can be witnessed by PAL looking for DEC’s on their AMSD machines.